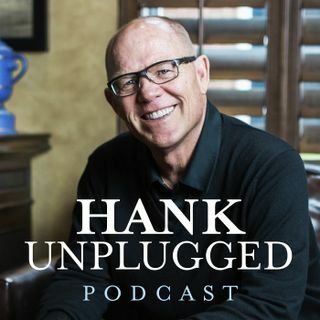 Hank is joined for the first time on Hank Unplugged by one of his favorite guests from the Bible Answer Man broadcast, Dr. Jonathan Witt. Witt is a prolific author and a Senior Fellow with the Discovery Institute’s Center for Science and Culture. Witt was the lead writer of the hit documentary Poverty Inc., in addition to being the author of books such as The Hobbit Party: The Vision of Freedom That Tolkien Got, and the West Forgot, A Meaningful World: How the Arts and Sciences Reveal the ... See More Genius of Nature and his latest book Heretic: One Scientist’s Journey from Darwin to Design written with Finnish bioengineer Matti Leisola. Witt has studied and written on a number of subjects, and this wide-ranging conversation is evidence of just that. Topics discussed include: how the study of aesthetics got Witt involved in the Intelligent Design movement (4:10); why the Intelligent Design movement is the premier movement today due to a willingness to follow the evidence wherever it leads (5:40); why Witt wrote the documentary Poverty Inc., investigating the problems with the industry of foreign aid (7:10); TOMS shoes as a hipster poverty machine (10:45); the problem of donor dependency (13:05); the present war on poverty as another permutation of colonialism (15:30); how has Poverty Inc. made a difference on how people view humanitarian aid? (18:00); the deficits of the Marshall Plan (21:30); skepticism about how evolution explains everything without explaining anything (24:00); the difference between science and scientism (27:50); conflating microevolution and evolution (29:30); constrained optimization and why so many engineers are proponents of Intelligent Design (35:00); a recent article Witt wrote on conflating understanding and acceptance of evolution (39:55); “all of humanity’s problems stem from man’s inability to sit quietly in a room alone” (43:10); A Meaningful World: How the Arts and Sciences Reveal the Genius of Nature (44:10); Darwin vs. Beauty: Explaining Away the Butterfly (47:35); Witt’s new book, The Hobbit Party: The Vision of Freedom That Tolkien Got, and the West Forgo, and what Christians can learn from Tolkien (53:00); exploring the many reasons why it is critical to learn to read the Bible in the sense in which it is intended to be read (1:00:05); the problem with trying to read scientific paradigms into scriptural passages (1:18:40); becoming so familiar with the truth that when a counterfeit looms on the horizon, you know it immediately (1:00:50); the functional value of secular feminism, abortion on demand, and sexual freedom (1:02:30); Christian involvement in the culture wars and examples of hope (1:04:15); and raising Christian children (1:08:05).